The following is a guest post by Karl Barth, who recently returned from his first international trip to Romania! If you have a travel story you want to share on Go Backpacking, please read our submission guidelines. 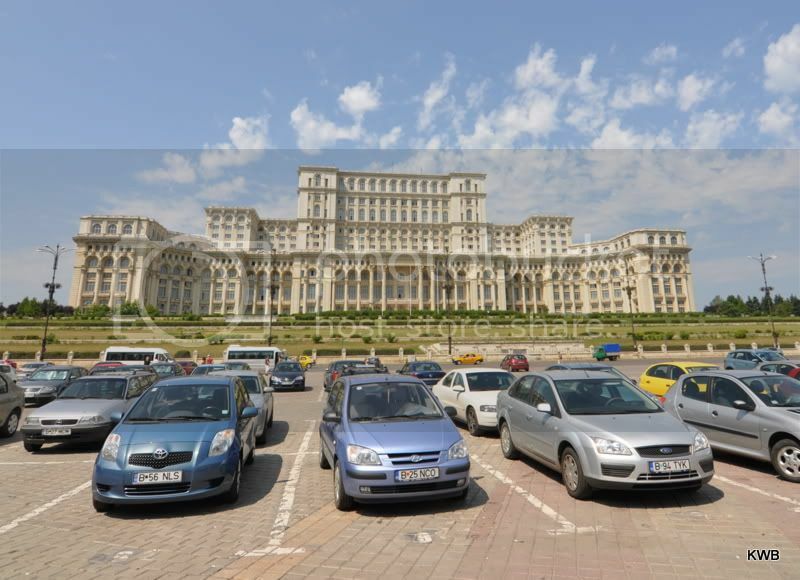 If you visit Bucharest, you must visit the poorly named, Palace of the People, otherwise known as Palace of Parliament, otherwise sometimes referred to as Ceauescu's Palace. This massive structure is the world's largest civilian administrative building, most expensive administrative building, and heaviest building. The only building larger than this behemoth is Pentagon in Washington D.C. This place is so huge that the hosts of the British show Top Gear were actually racing Ferraris and Lamborghinis in the underground parking garage. 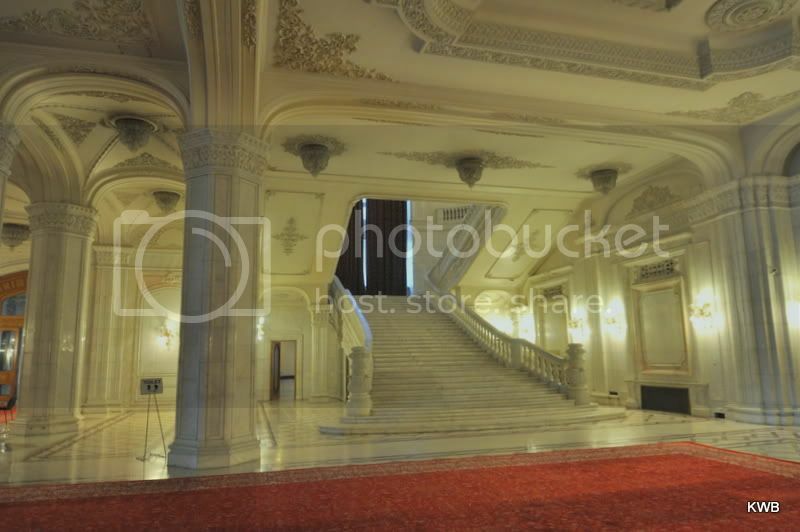 The palace was designed and the construction was overseen by Nicolae Ceauescu. The building was completed but never furnished at the time of his execution in 1989. It serves as a constant reminder of the splendor and opulence in which the Ceauescu's were able to live while the people of Romania were forced to survive through the most meager means. 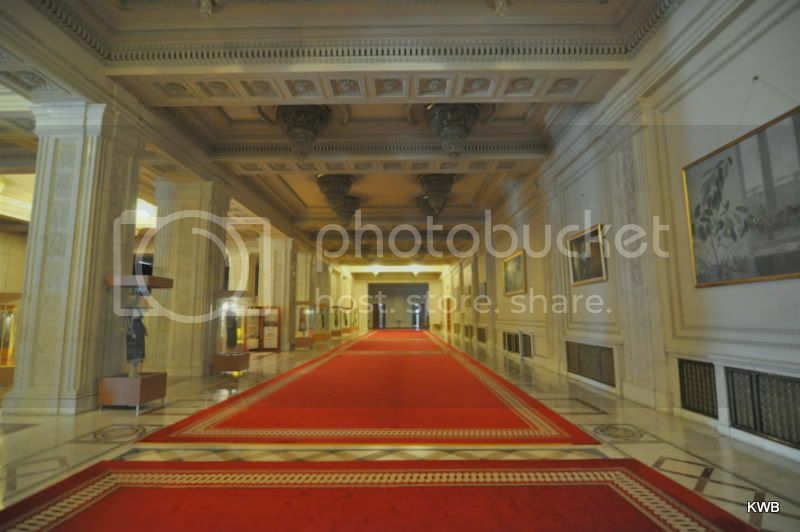 For that reason, there is not a single picture or mention of Ceauescu inside the palace. Front view of the Palace of Parliament. Side view and tourist entrance of the Palace of Parliament. If you visit, remember to bring your passport with you. You need it to gain entrance. 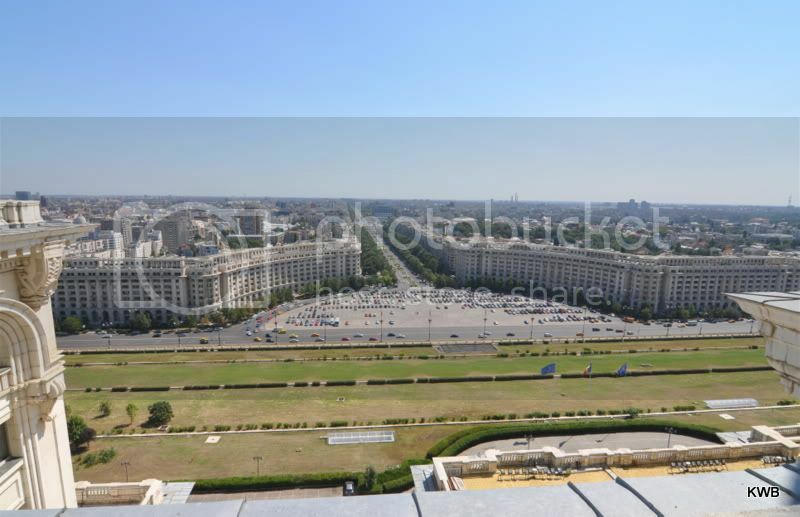 View of Bucharest from the rooftop. One of the many solid marble staircases. 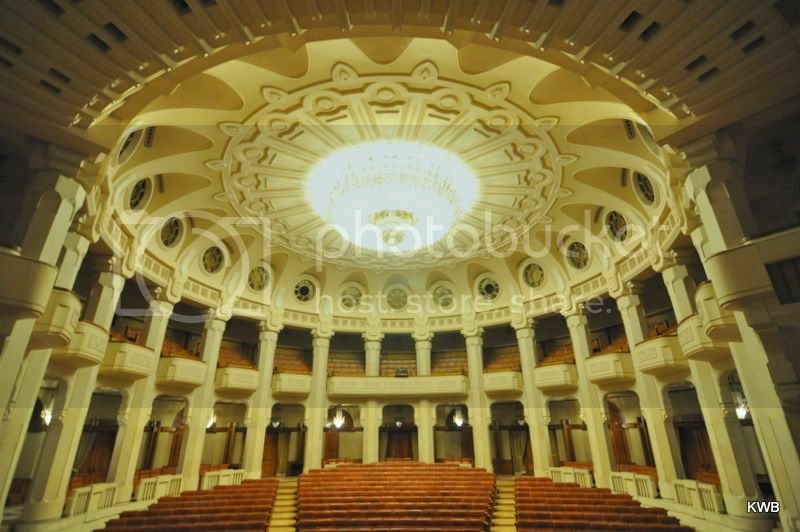 This one was built to completion and subsequently ordered to be demolished by Ceauescu. The reason being, he wanted each stair step to be 1" smaller in height, since the original stairs were uncomfortable for him to walk up. A seven ton chandelier in one of the concert halls. 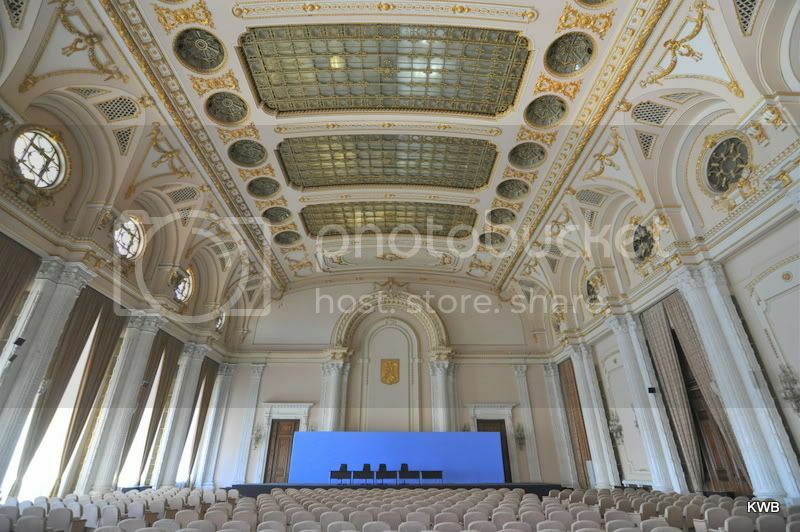 The grand ballroom where Nadia Comaneci was married. As a final note, the tour that I took lasted 2.5 hours, and I only saw 7% of the entire palace. It is truly an architectural and engineering marvel. Thanks for posting that link. That was awesome!!!!! 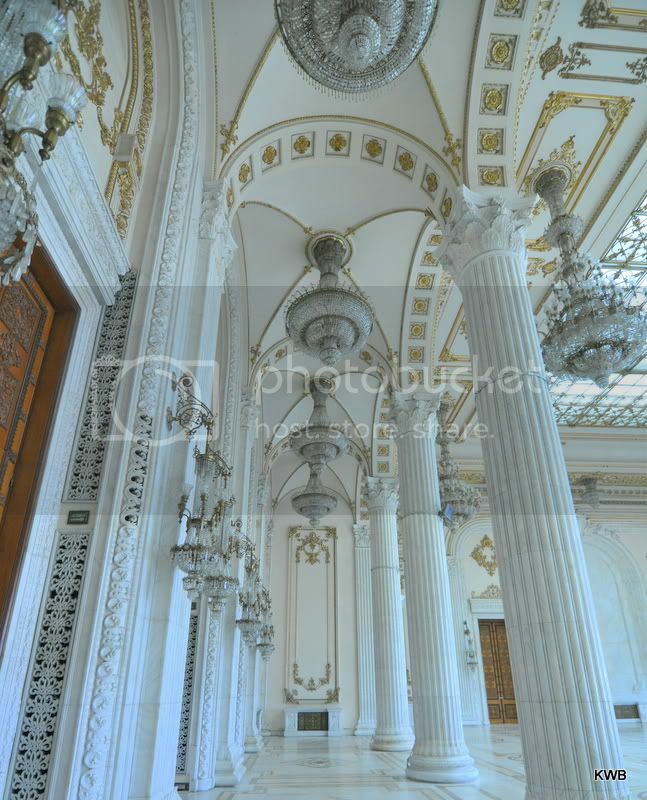 The People’s Palace is a breathtaking landmark. 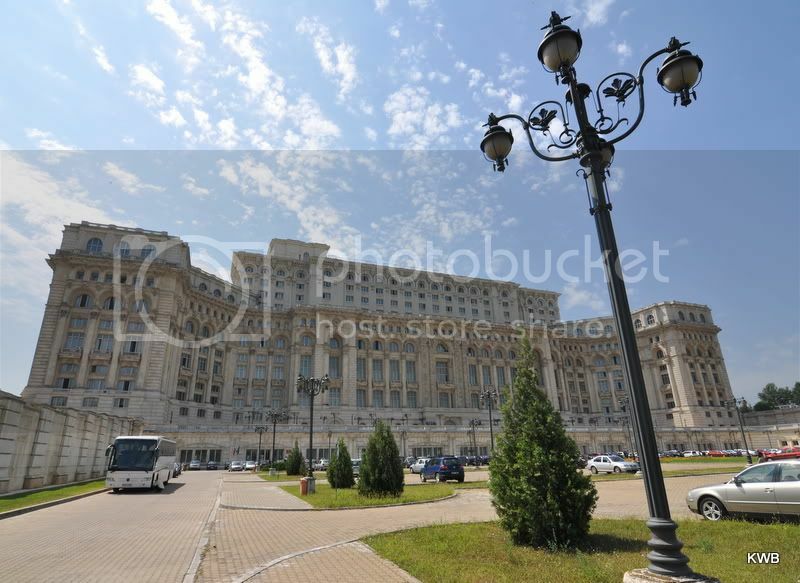 A symbol of communism in the past, today the Palace of the Parliament is the most popular landmark in Bucharest. It is a beautiful and very significant sight.